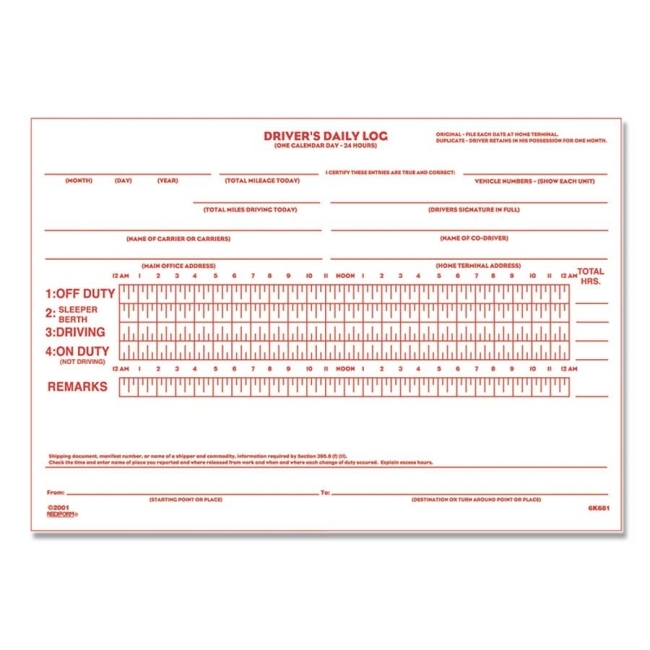 Daily log book for drivers includes 31 two-part sets with carbons. Record time for driving, sleeping, off-duty and on-duty (nondriving). 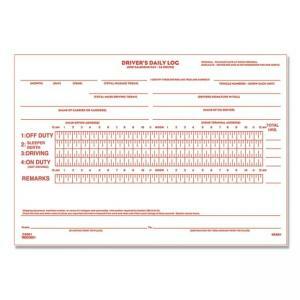 Log book includes a monthly summary and vehicle inspection form. Manifold book has a flexible cover. Paper is made with 30 percent post-consumer material.